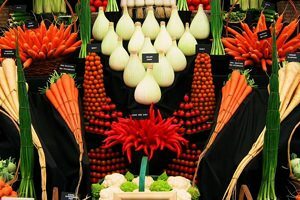 Eventmasters are delighted to offer RHS Chelsea Flower Show hospitality in 2019. Enjoy a splendid hospitality experience with the La Primrose package on the event’s opening Tuesday. Savour a delightful evening corporate hospitality experience at the RHS Chelsea Flower Show, the La Primrose package is inspired by Raymond Blanc and the RHS, offering the opportunity for VIP guests to enjoy wonderful fine dining experience in the evening. Located in a peaceful corner of the Showground, the La Primrose package allows you and your guests to enjoy the show before relaxing in the Jardin Blanc restaurant; a fantastic environment in which to entertain and enjoy hospitality.